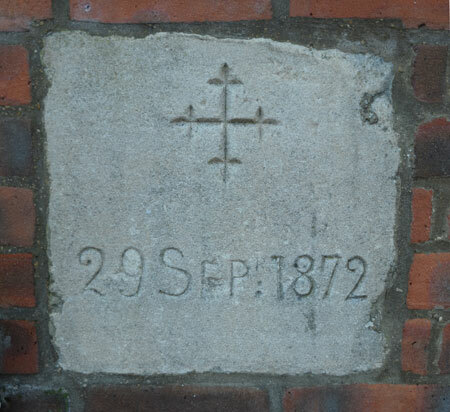 Ss Philip & James's Church on the Woodstock Road was consecrated by the Bishop of Oxford, but the children in this area continued to attend St Giles's National School for another ten years. 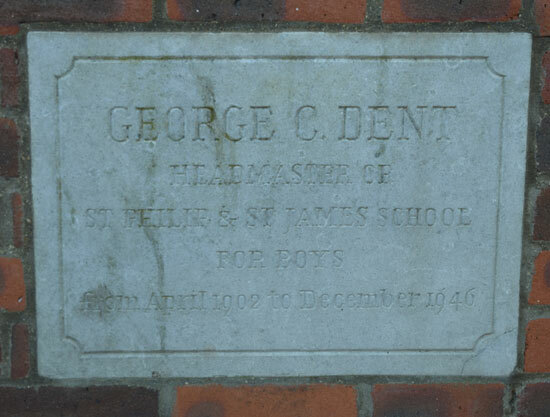 In 1872 a church infants school was built in Leckford Road, and this stone in the perimeter wall commemorates that event. The school moved to Navigation Way in 2003. The site was bought by d'Overbroeck's College from St John's College, and since September 2005 has been the home Leckford Place School, an independent secondary day school for boys and girls aged between 11 and 16.